Since last night's announcement, there has been a lot of speculation surrounding the Galaxy Nexus. One of the most mysterious features of Samsung's latest Nexus device is its onboard barometer. Many have been questioning why Samsung would include a barometer in the Nexus' sleek chassis, citing possibilities from more accurate weather prediction to simple altitude detection (which is partially true). 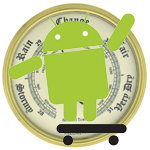 In a Google+ post today, Android Engineer Dan Morrill gave us the scoop on what the barometer is actually for, and it's more interesting than you might think. Morrill explains that the barometer is actually intended to speed up GPS location, because "locking onto a GPS involves numerically solving a 4-dimensional set of linear equations - 3 dimensions in space, and time." That sounds a bit complicated, doesn't it? Fortunately, Morrill broke it down further for readers, explaining that assisted GPS (aGPS) is popular because it gives a rough, city-level estimate of location. Including a barometer in this process speeds things up further, giving a "reasonable first-cut estimate for altitude" based on atmospheric pressure. Determining altitude quickly eliminates one of the three spatial dimensions of GPS location, and, when added to aGPS' 2-dimensional estimate, location can be determined much more efficiently. 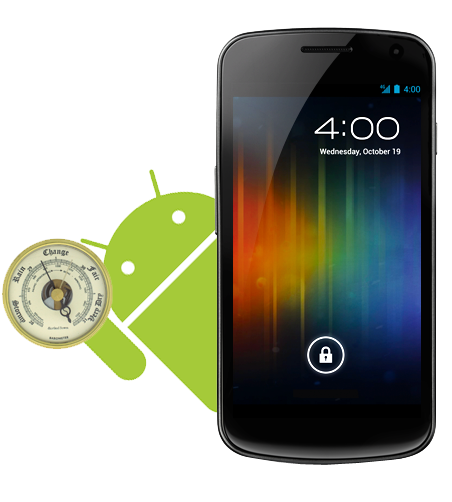 Morrill admits that an onboard barometer could be used for weather prediction, but notes that the Galaxy Nexus' barometer may not be "weather grade." So there you have it - there really isn't much mystery behind the barometer in the Galaxy Nexus. "It's worth noting," Morrill adds, "that the Xoom has a barometer too, so it's not a new thing." For Morrill's full explanation, check out his post on Google+.